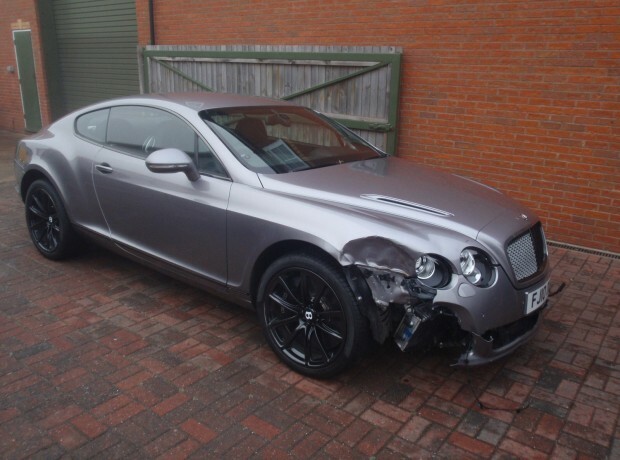 We have been Bentley Continental GT paint and body repair specialist since the launch of this model in 2004. To keep up to date with the modern body materials and construction methods, we have the latest and in some cases the best equipment to help satisfy our clients requirements. 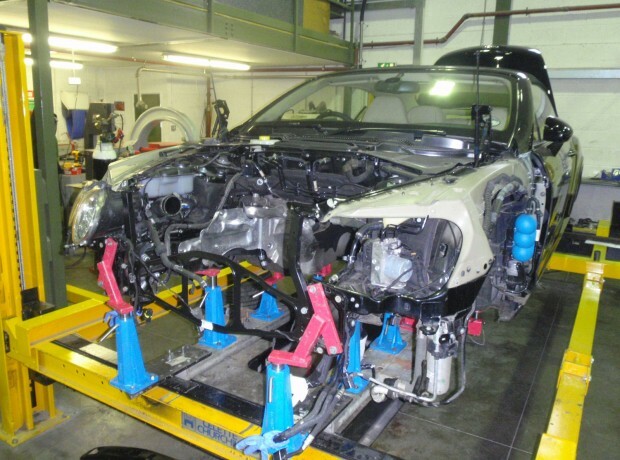 In brief, we have a specialist covered transporter to collect and deliver our clients cars, all the Bentley specialist tools to enable the removal and refitting of engines, transmissions, suspension and air conditioning components; and a Bentley approved Celette Jig for accident repair chassis alignment and panel replacement. The latest specification, fully automated inverter spot welder assures every weld is to the correct specification and produces a report to verify this. 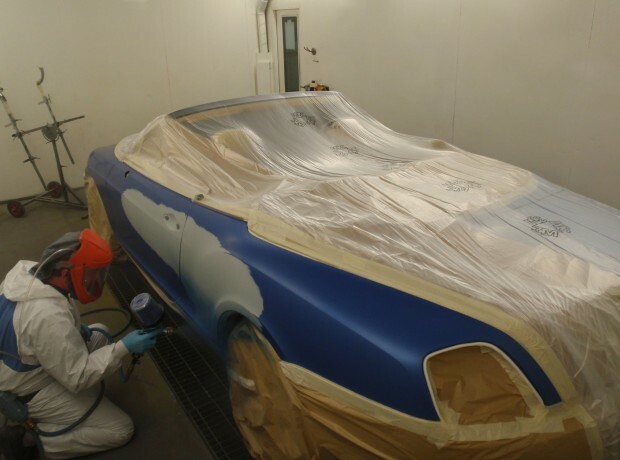 For paint work, we only use the Bentley approved Glasurit paint mixing scheme. This allows us to make a perfect colour match. Having the latest type of spray booth with a Dune Air Quad System, enables us to use water base and compliant paint system. Computerised Four wheel alignment system enables us to check perfection in the suspension and wheel alignment. Once all work is completed, we will test the vehicle with the Bentley VAS system to ensure the electrical systems are operating correctly. Our staff are fully qualified and routinely go on specialist training courses to ensure their product knowledge is up to date. Their skills ensure the damage is repaired to an undetectable condition, with perfect panel fit and replication of the piano high gloss finish of the paint work. 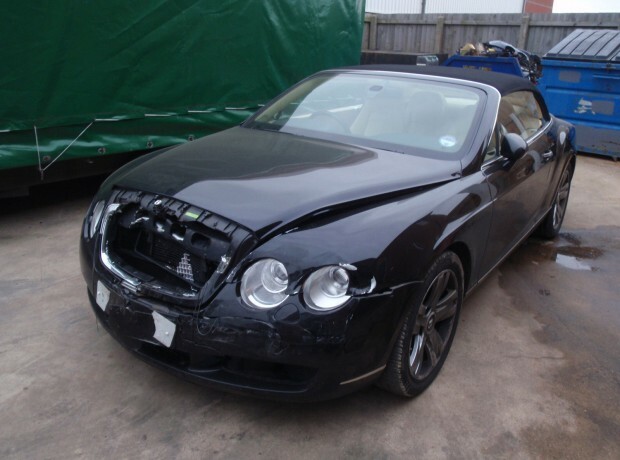 Why go to all this trouble you may ask but It is to ensure your car is repaired and maintained to the highest standard, complying with Bentley new car warranty policies and allowing us to offer a two year guarantee on our work. 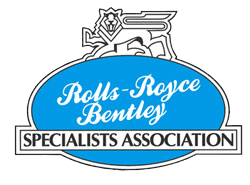 Whatever your requirement; from a minor scratch, major accident repair or a full ground up restoration project our Managing Director / Technical Manager Ian Pinder - with personal experience of repairing Rolls-Royce & Bentley Motor Cars in excess of thirty years – will be pleased to assist you. If it is difficult for you to bring your car to us Ian can travel to your desired location to start the inspection and estimate process, to use this facility simply contact him directly on his mobile phone 07801 256301 where he will be delighted to assist you. 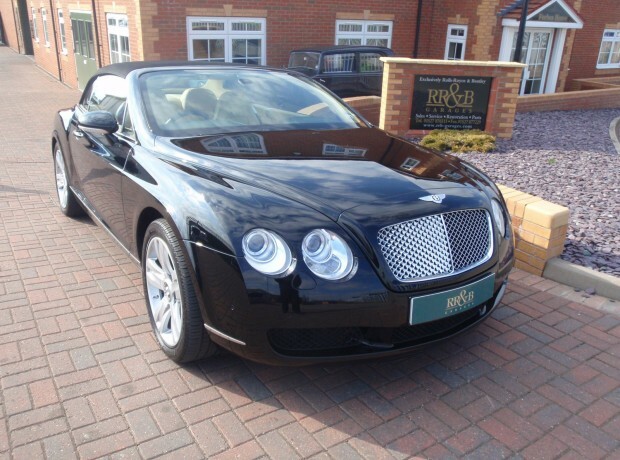 Alternatively, call RR&B Garages where we can also make an appointment to assess your requirements. Please visit the pages of our web site for detailed information of the products and services we provide.